While I'll primarily be talking about books, I have just a couple of movies on my Beauty and the Beast shelf, too. Most of you probably remember this little film that came out a few years ago. It's never going to be a huge world-wide hit, and did have some drinking and magic in it, in case that bothers anyone. While it's not my most favorite film of all time, I enjoyed it and found it very fascinating as a Beauty and the Beast-type story where the roles were reversed. I also really enjoy James McAvoy's acting, and there's not a whole lot he's in that I feel comfortable watching, so having him play the romantic lead was an added bonus. 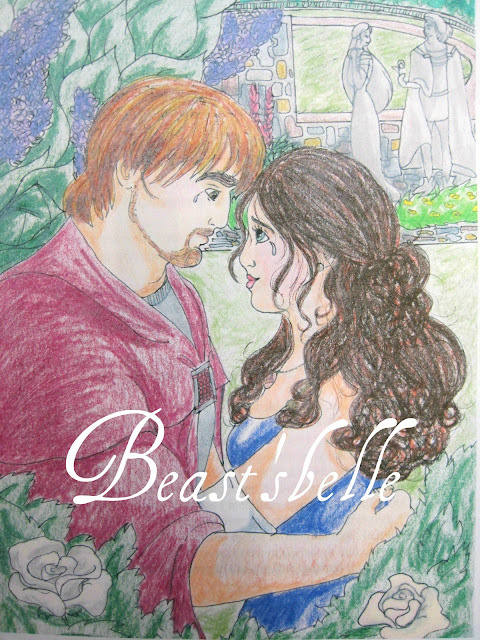 #2: Cannon Movie Tales' "Beauty and the Beast"
I wasn't expecting much when I got this movie for around $4 at Walmart a while back. And true, the acting is pretty corny and the girl isn't the best singer in the world. Still, there were a few unique moments in this version that made me glad I watched it. 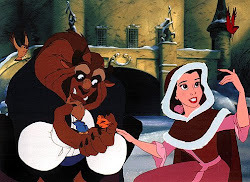 The Beast's makeup was also very interesting in this one, and (I thought) quite well done for the 80s. #4. 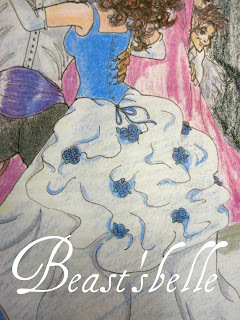 Treasury of Illustrated Classics' "Beauty and the Beast"
This was a copy my mom found at a thrift store when we were on vacation. I wasn't sure that I wanted to add it to my collection at first. The illustrations weren't my favorite, and it was a very simplified version, as it was meant to be read by younger children. As I flipped through it, though, I noticed that it was very similar to the original version by Madame le Prince de Beaumont. Since it was only 99 cents, I decided to give it a try. One of the things that's so funny to me about the original is that after the story we're all familiar with, the prince basically explains in great detail how he was enchanted, and then proceeds to tell the entire story over again from his perspective. It makes me laugh because it goes against everything you'd be taught in a writing course. 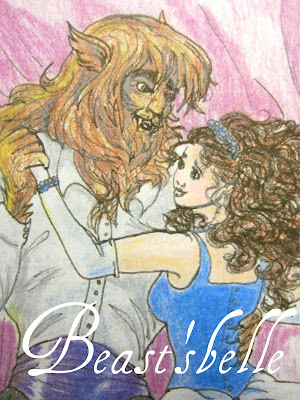 And yet, I must confess that many Beauty and the Beast stories feel so abrupt in their ending. You've spent all this time with "Beauty and the Beast", and just when you're trying to get used to the idea of "Beauty and the Prince", it's all over. ;) There's got to be a happy medium somehow. The Beast from this version is kind of like a weird sort of gorilla/bear mutation or something. #5. Jim Henson's "The Story-Teller"
I found this book on Amazon shortly after discovering the TV series it was based on. What's interesting is that some of the stories are slightly different from their movie versions, even though the movies were made first. I don't care for all of the stories. I basically bought this for "Hans My Hedgehog" and "Sapsorrow" (although Jen, you might be interested to know that there is a story called "The Three Ravens" that is basically a retelling of "The Wild Swans"). Here's a picture of Hans from "Hans My Hedgehog" (like I said in an earlier post, it's very interesting seeing the Beast as a giant, grouchy hedgehog). :} I have to say, all of the illustrations in this book are stunning and look very much like the original actors and actresses from the film versions. Here's a picture of the Princess. While at its core "Sapsorrow" is essentially a combination of "Cinderella" and "Furball", it also is a "Beauty and the Beast" tale with the roles reversed, which is what I enjoyed about it. (The prince is a real jerk, though...I don't know what made her fall in love with him.) The only thing I didn't really care for was the part of the plot where, due to an accidental ring fitting, Sapsorrow was going to be forced to marry her father. It was just a little weird to me, and I wish they would have come up with a different reason for her to run away. Here's poor Sapsorrow, also known as "Straggletag". Her makeup in the film was pretty amazing. A happy ending for Sapsorrow and the Prince. This book was one of my more recent finds. I loved the unique illustrations in this one. It's a longer retelling than most of the picture books versions, and unique enough between the story and the illustrations that I really wanted it for my collection. Beauty's father first arriving at the Beast's castle. This Beast is quite hairy and almost catlike, with some wolf or bear thrown in...and check out that tail! Beauty first meets the Beast. I love the emotion in this illustration. I grew up on the Little Critter books, as well as Professor Wormbog and Herbert the Timid Dragon, so I was already a big fan of Mercer Mayer's illustrations. When I found his version of "Beauty and the Beast", though, I was blown away by the beauty and depth of his artwork. There is so much depth and attention to detail. Even his color palette makes you think of a fairy tale with its elegant, rich, brown tones. I just love looking through it to see the pictures and discover new details I never noticed before. While I prefer brunettes in the role of "Beauty" and normally don't care for versions where the Beast is portrayed as some sort of wild boar or warthog, the sheer loveliness of Jan Brett's illustrations in this book won me over. She has such an incredible eye for detail, and I love her amazing depictions of animals. I actually got to meet Jan Brett at a book signing once. I brought some of my illustrations with me to show her, and turned into a complete babbling idiot (why oh why couldn't I have been smooth and amazing while talking to her?). She was very gracious and took the time to talk to each individual, even though there were so many of us there. I'm wishing I'd had the foresight to bring this book with me to sign. Instead, I purchased a book from the store that she signed. I still have it somewhere. I love the richness of the clothing and all of the little details that make her work come alive. 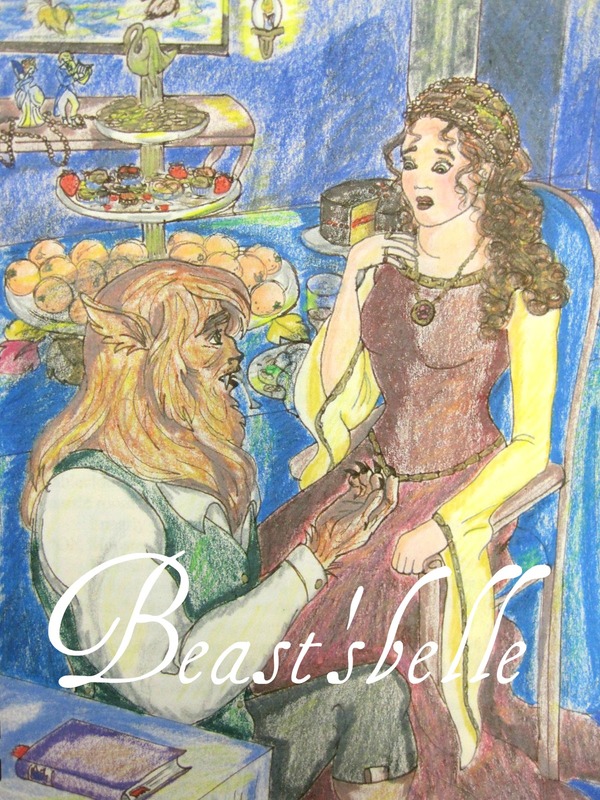 In this version, all of the Beast's servants are animals (and once again, you can see the tapestry in the background, showing them in their human form). I love Beauty's hair in this picture. This book is basically a version of "East of the Sun, West of the Moon" with a Lion as the enchanted Prince instead of a Polar Bear. I love the beautiful artwork it has. The other thing I've always enjoyed about this tale is how the heroine has to prove her loyalty and love after making a grave error. It kind of reminds me of Marguerite in "The Scarlet Pimpernel" (I'm thinking of the book version), when she follows Percy in secret after realizing that she's betrayed him. The illustrations in this version are full of vibrant colors that have a Middle Eastern or Oriental flair. The Lady and the Lion. The witch who destroys their happiness...for a time. 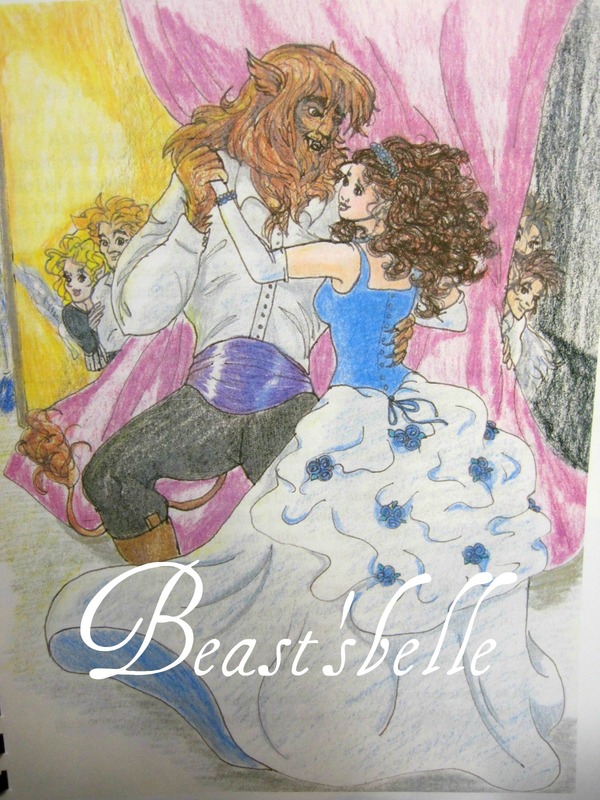 And, since it happens to be on my shelf with my other versions, I thought I'd share a few more illustrations from my Beauty and the Beast story with you. As I've said in earlier posts, please do not use these or post them elsewhere without my permission. These pictures represent hours of work. 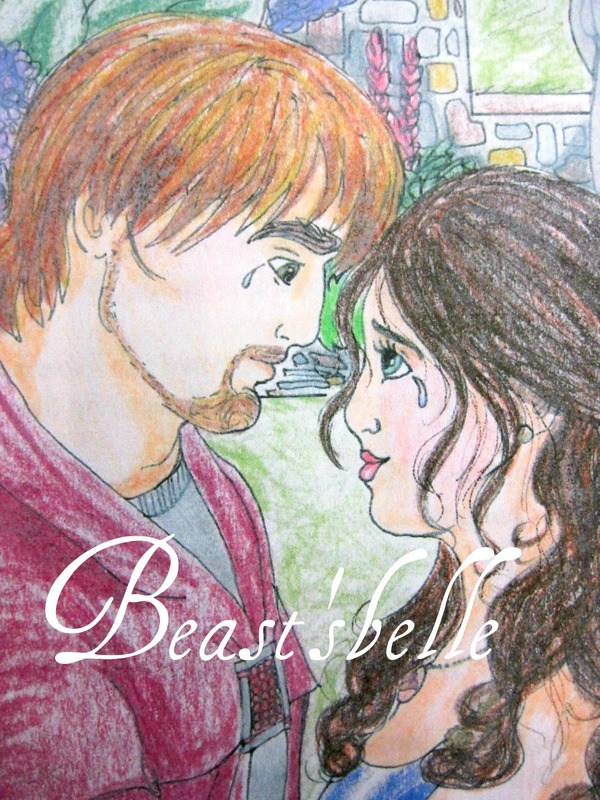 "The Beast" proposes to "Beauty" for the first time. I had a lot of fun doing this one. I was especially pleased with how her dress turned out in this photo. I spent weeks pouring through bridal magazines, looking for inspiration and piecing dresses together. Hey guys! Just wanted to let you know that I have 16 eBay listings up, ending next Sunday afternoon. There are some Disney dolls, some BFC Inks (2 Kaitlins, Aleisha, Gianna, and CJ-the boy doll), two Ashton Drake baby dolls, a My Twinn Cuddly Sisters Mei Mei, one of my Liv dolls, a Moxie Teenz Arizona doll, and some My Little Pony stuff. Basically, I did a lot of impulse shopping this past month (although some of the things I'm listing I've had set aside to resell for a while). I've had my fun, and now I need to pay for it...or something like that (why am I suddenly thinking of Pinnochio?). ;) Anyway, I wanted to let you know because I thought some of you might be interested. The BFC Inks were the hardest to part with, but I have way too many and I originally bought some of them for the purpose of reselling...or so I told myself. ;) So now I'm making myself follow through. Some of the dolls have blog reviews in draft right now, so I'm hoping to get some of those posted this week (amidst the conclusion of my Blogoversary stuff) so that you guys can see a little more info on the things I'm selling. So I could have just said "tough potatoes" and let her get on with life. But honestly, the only reason I listed Addison was because I was no longer interested in her and Oldest Gal didn't appear to be either. My original plan had been to keep her until Oldest Gal could afford her. Since there weren't any bids on that lot yet, I swapped Gianna for Addison and added a few things. I hate doing that, because I know it's frustrating to my bidders. But in this case, I felt it was the right thing to do. 1. 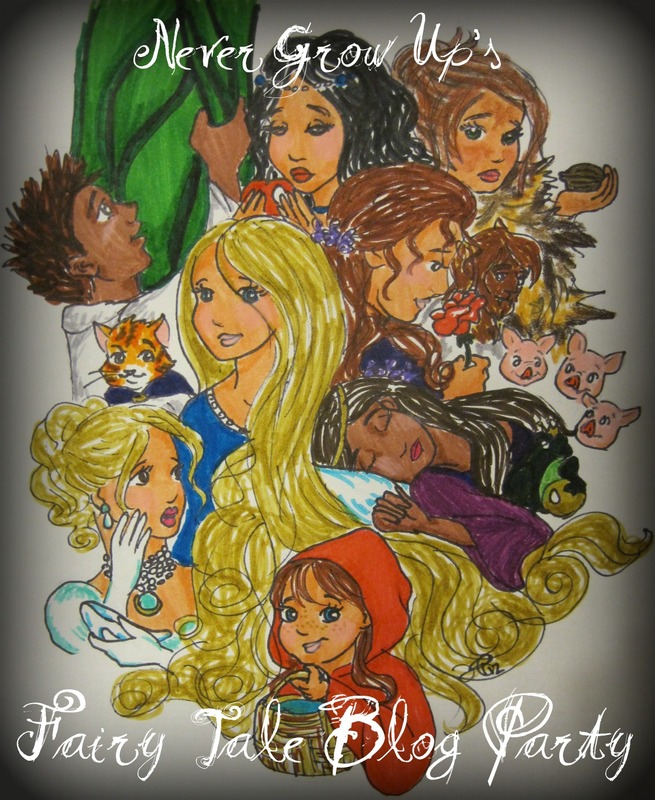 What is your favorite fairy tale and why? 2. List your 4 favorite fairy tale heroes or heroines and why you like them. 3. Who in your opinion is the most threatening fairy tale villain? I'd say it's a tie between Snow White's evil stepmother the Queen and the bad fairy in Sleeping Beauty who casts the spell on her. Both of them are so vengeful and creepy!! 4. If applicable, share something about a favorite fairy tale book you had as a child. What made it so special? We had a set of books that had all sorts of stories in them, including many fairy tales. I think it was called the "Junior Classics", or something like that. I used to read those over and over again. I loved the illustrations and the fact that there were so many stories to choose from. As an adult, I found a really fun picture book of fairy tales that had a lot of old-fashioned illustrations. It is now one of my oldest daughter's favorite books. 5. In your opinion, what makes a good fairy tale? I love fairy tales that tell of courage, integrity, loyalty, and perseverance, all qualities that we are slowly backing away from as a society. I also love fairy tales that teach a lesson or have something I can come away with and think about in my own life. Because most fairy tales are morality tales, there are usually truths in them that can have spiritual applications, which I love. There's something about a story that can drive a truth home more than just having someone say it, at least for me. 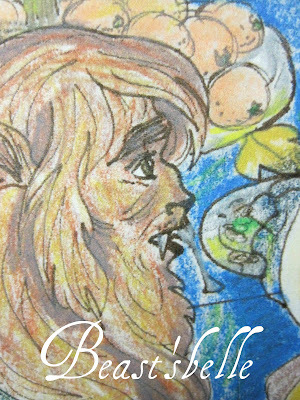 6. Who is your favorite fairy tale illustrator? 7. What is your favorite re-telling of a classic fairy tale and why? This collection of short stories, written by the same author who wrote "Ella Enchanted" (which was way better than its movie adaptation, by the way! ), is always enjoyable. I love it because of the way it turns the fairy tales we know and love on their ear in a loving but humorous way. She brings up questions about the original fairy tales that make you think, "Oh yeah, maybe it would happen that way!" Included in the book are her adaptations of "Toads and Diamonds" ("The Fairy's Mistake") and "Sleeping Beauty" ("Sonora and the Long Sleep"), among others. -"Hans My Hedgehog" from Jim Henson's "The Storyteller" series. -"Skin Deep"-Episode 12 from "Once Upon a Time"
Duh, you guys already know this, but I had to include it. Aside from the parts that didn't deal with Rumpelstiltskin and Belle's characters, I really enjoyed this retelling of Beauty and the Beast for its creativity and unique twist. 8. 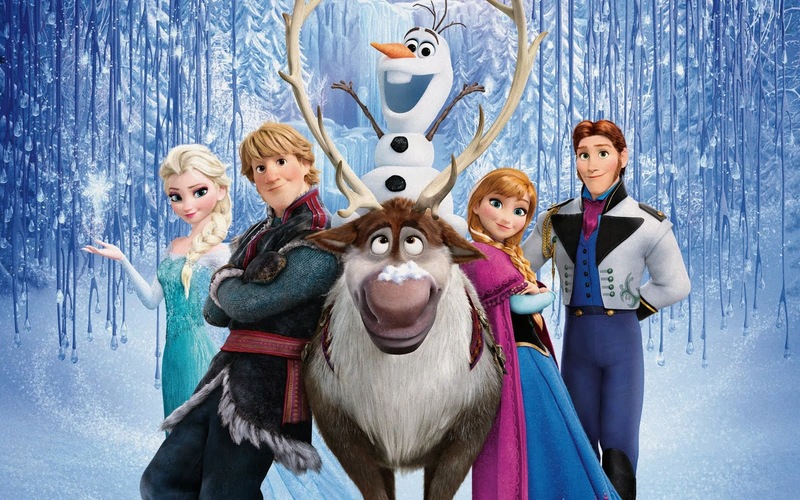 Which fairy tale character is the most like you? 9. If you could choose to be any fairy tale character, who would you be and why? 10. If you could have one wish, what would it be? 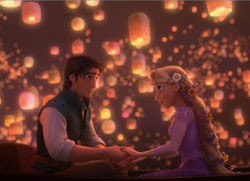 a. that a fairy godmother would come along, give you a dazzling outfit and shoes, and whisk you away to a royal ball. 11. If you could find out anything about your favorite fairy tale character outside of the pages of his/her story, what would you want to know? For pretty much any character, I'd want to know what happened after the story was over. I have several items I'll be giving away this time around, and for the sake of simplicity, I've decided to do things a little differently than I normally do. I'm going to list all of the different giveaway items in this one post. If you're interested in participating in the giveaways, simply leave a comment at the end of this post with your name or username and an email address where I can contact you. As usual, comment moderation will be on, so no one will see your email address but me. And as always, if you are under 18, please get your parents' permission before entering, as I'll have to get your mailing address later on. Here's the part that's different. Because of the number of items I'm giving away, I'm not going to have you specify which giveaway you'd like to participate in. Instead, when you comment on this post, you'll automatically be entered in all of the giveaways mentioned in the post. Sorry to do it that way, but I think it would be much more complicated on my end to try to keep everything straight if I tried to get the right people entered into the right giveaway. I know from past experience that things can be a little crazy with giveaways anyway. :} I hope you guys understand. Also, I'm very sorry, but I'm not able to do International shipping at this time, so this contest is open to US residents only. 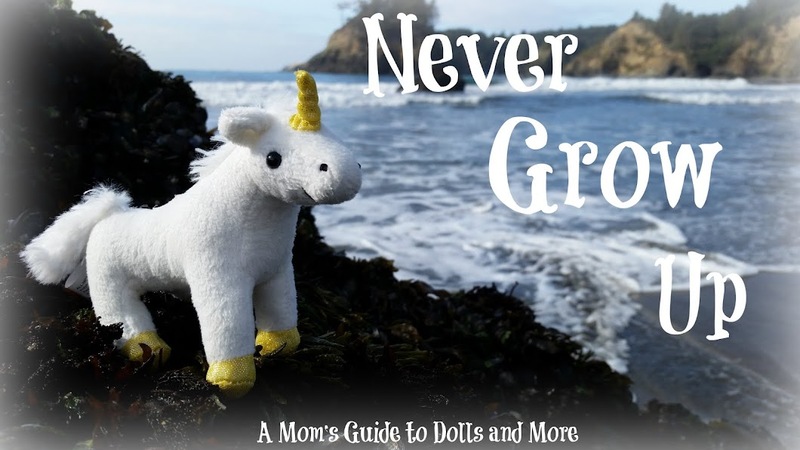 If you have any further questions, feel free to leave them in a comment on this post or email me at nevergrowup.beastsbelle @gmail.com. Many of you know that the talented "Painter of Light", Thomas Kinkade, passed away earlier this year. He was in the middle of working on a series of Disney paintings, called the Disney Dreams Collection, and "Sleeping Beauty" was one of his last (sadly, he never got to "Tangled" or "Aladdin", but he did many other wonderful depictions of beloved Disney films, such as "Bambi"). This Bambi postcard, entitled "Bambi's First Year", is one of the promotional postcards produced by the Thomas Kinkade gallery. I purchased it secondhand off of eBay a little over a year ago. A closer look at some of the artwork. The message on the back of the postcard (you can click on it to make it bigger). The winner of this giveaway will also receive this adorable magnet, made by eBay seller piney94. It's a pint-sized replica of the original painting, and will come to you in this protective sleeve. A close-up of her face. This pretty blue jacket is from the Springfield Collection at Michael's and is the same one I've used for some of my photo shoots in the past. Here are some fun little items for your American Girl or other similarly-sized dolls. ...and finally, a Disney Princess tin for holding all of your doll's special treasures. Hearts For Hearts Girls Zelia! Hearts 4 Hearts Lauryce is Back in Stock! New Hearts 4 Hearts Girls Releases!